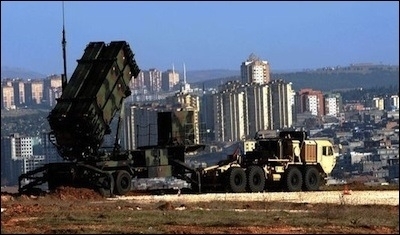 ANKARA — The United States and Germany will pull the Patriot missile batteries and military personnel they had deployed on Turkish soil in early 2013. The German government said over the weekend that it would pull its Patriot batteries and 250 troops in southern Turkey by the start of 2016. The US and Turkish governments said Sunday in a joint statement that Washington had informed Ankara that the US deployment of Patriot air and missile defense units in Turkey, which expires in October, will not be renewed beyond the end of the current rotation. The statement said: "The U.S. Patriots have been in Turkey as part of a broader NATO mission since 2013. They will be redeployed to the United States for critical modernization upgrades that will ensure the U.S. missile defense force remains capable of countering evolving global threats and protecting Allies and partners – including Turkey. This decision follows a U.S. review of global missile defense posture." It also said: "The U.S. and NATO commitments to the defense of Allies – including Turkey – are steadfast." The statement reiterated US and NATO commitment to supporting Turkey's security and regional stability. "As the United States deploys additional air assets and partners with Turkey to counter ISIL, the United States will also continue to work closely with Turkey on how to support Turkey's air defense capabilities, including against ballistic missile risks and threats," it said. The US, Germany and the Netherlands deployed Patriots on Turkish territory after Turkey asked its NATO partners for help in protecting its territory mainly from a potential missile threat from Syria. The Dutch mission ended early in 2015 and was replaced by Spanish batteries.